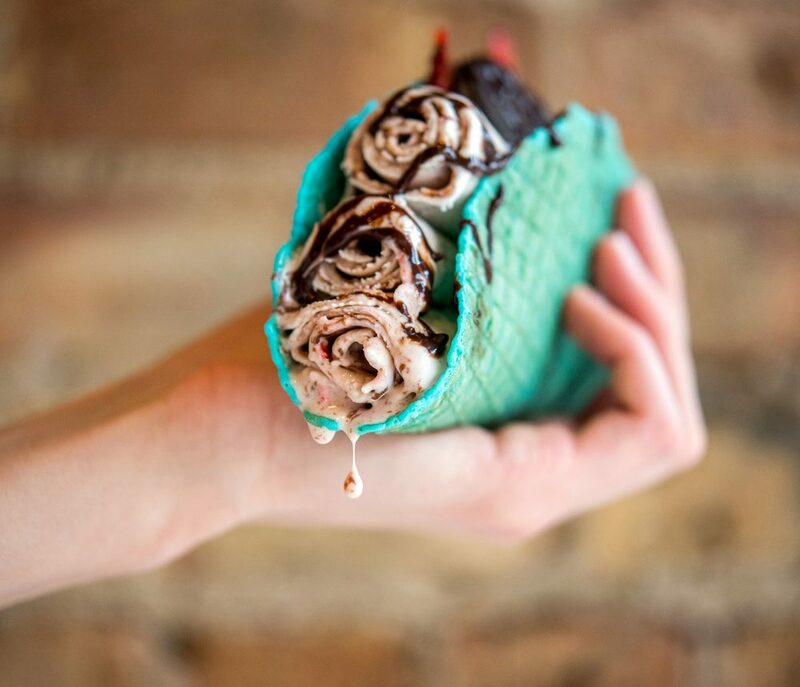 As the weather finally heats up in Chicago, you're probably on the hunt for fun new foods to match warmer climes. 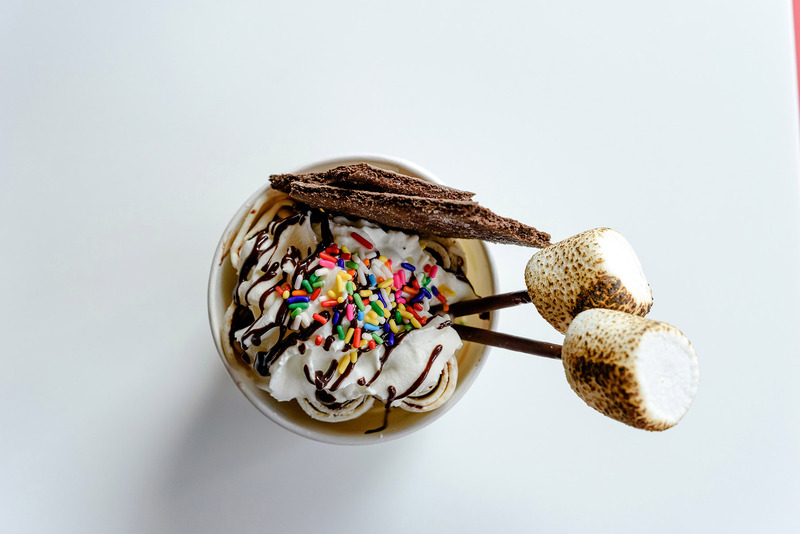 Scraping freshly-frozen ice cream from the cold "wok"
Now open in Lakeview, Okashi serves Thai ice cream with a distinct Chicago twist. If haven't tasted the chilly treat invented in Thailand and now served the world over, it's time to get it on the list! 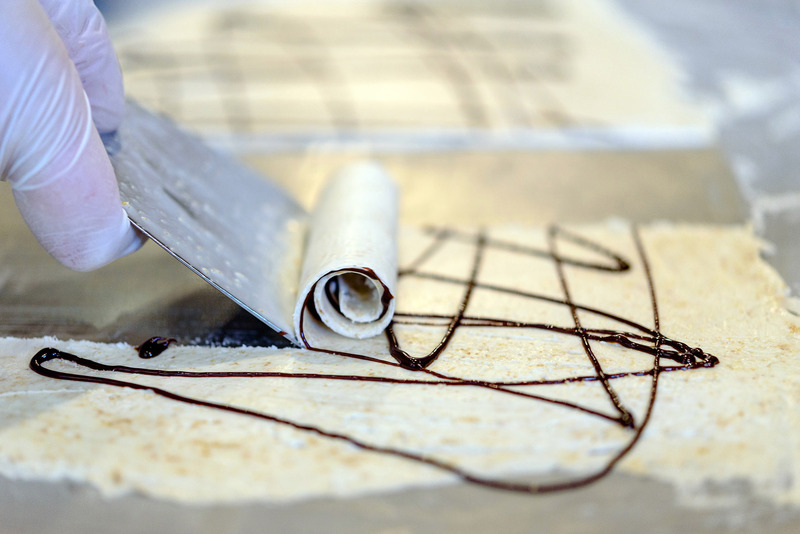 We visited Okashi at 820 West Belmont to learn a bit more about what makes their process unique. The process of making Thai ice cream is simple: Milk is poured onto a steel plate chilled to below freezing, and then scraped together with ingredients as it crystalized. Ice cream and a show? Sign us up. The resulting tube-shaped scoops are placed in a freshly made taco-style waffle cone. Thai ice cream generally has a fresh, creamy texture that feels indulgent without going overboard. That's from it's heritage as popular treat in Thailand, Malaysia, Cambodia and the Philippines, where it is often sold by street vendors on hot days. 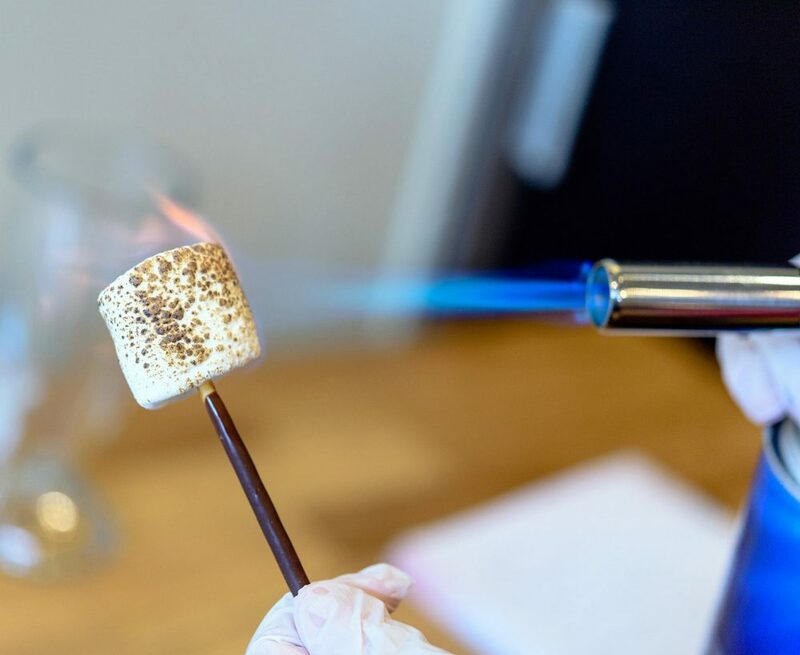 At Okashi, part of the experience is adding unique toppings, like a freshly torched marshmallow and sprinkles. If waffle tacos aren't your thing, cups are also available. 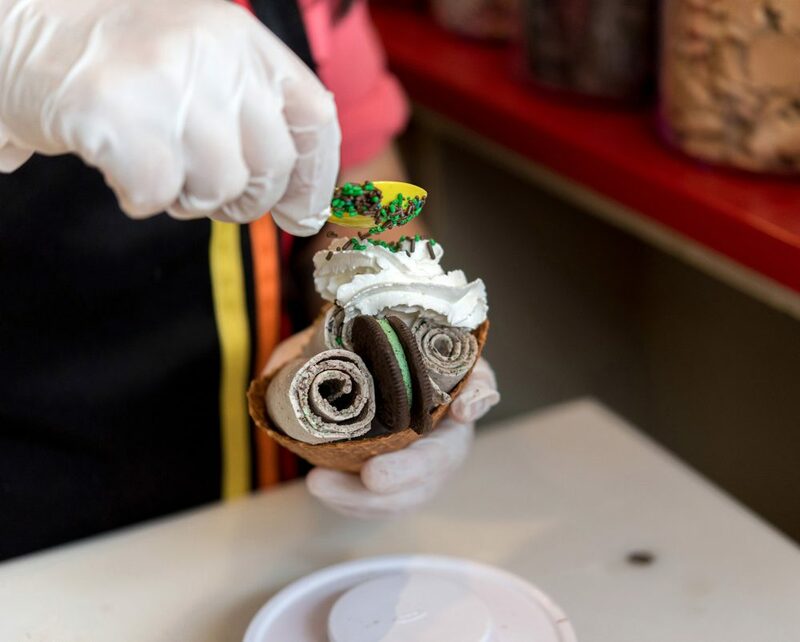 We recommend going for the home-made waffle - in either taco or cone form - for the added flavor and fun. 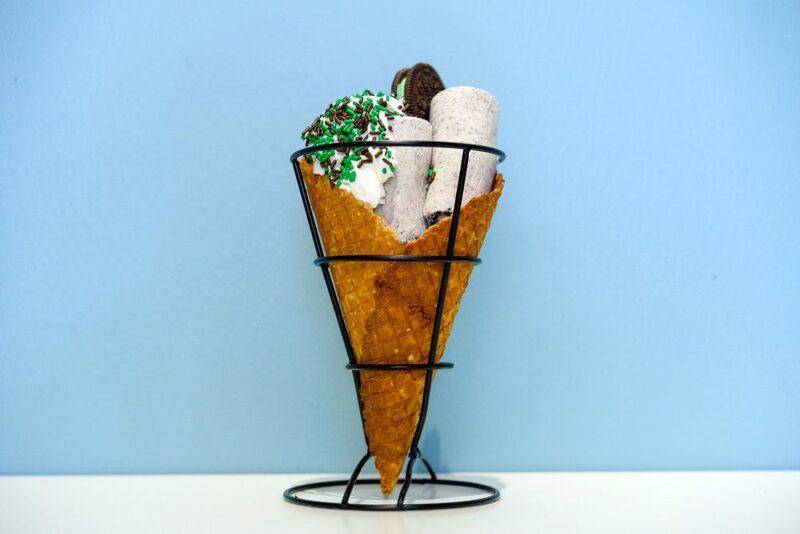 There are some standout must try flavors, including the Oreo Mint Cone, Peanut Butter Vanilla Taco, and S'mores Cup. Okashi opens early afternoon through evening year round, and prices start at $6.25 for a basic Thai ice cream treat.